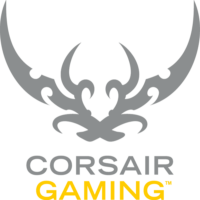 Corsair®, a leader in PC hardware, today launched Corsair Gaming, a new division within the company dedicated to the elevation of PC gaming and the development of high-performance PC peripherals. Forged from Corsair’s engineering know-how and developed alongside eSports professionals and gaming enthusiasts, Corsair Gaming products are driven by a philosophy of performance, style, and comfort. Corsair Gaming’s first salvo is the immediate worldwide release of the much-anticipated range of RGB keyboards and mice.